1. OMG there’s only two super long runs left until the marathon! Where did August go? Granted, I have to run 12 miles today (because that’s not long at all… who am I?) and then 18 and 20 the next two weekends, but after that I begin tapering for the BIG DAY (Oct. 12). How can that be? I feel like I’m getting there physically, but I’m not sure I’m mentally ready for this! That job don’t love you. That job is not your friend. That job is not looking out for you. That job is a machine in which you are a cog. That job has no human feelings. That job is interested only in sucking you for every last ounce of labor that you are physically capable of producing before you pass out. It is not the job’s fault; it is in the job’s nature. Therefore it is up to you to look out for yourself. You gotta love yourself in this world. Take that time off. Nobody else is going to take it for you. Take it. Take it all. Touché, Gawker. Touché. Now where should I go? Suggestions? 3. Um, so I woke up today and decided that I hate my bathroom. 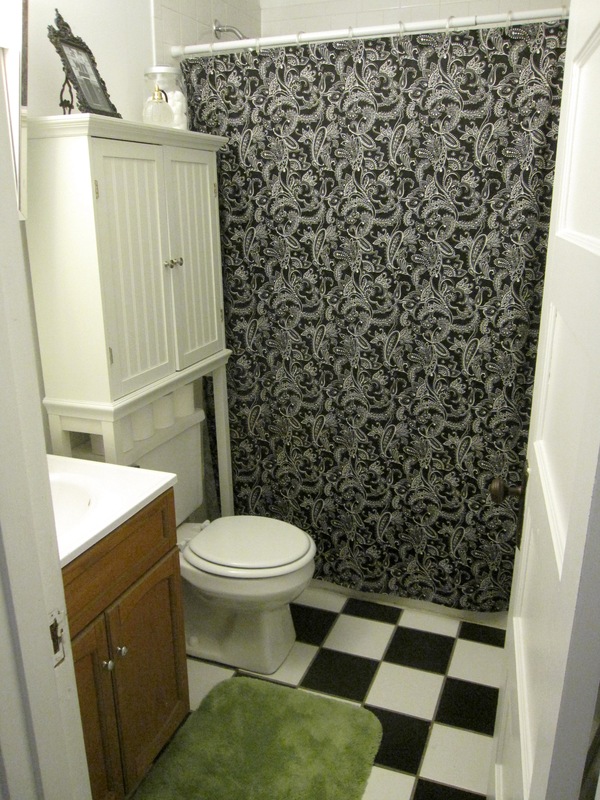 I hate the stupid black and white checkered floor, I REALLY hate the old-school mirror/light combo, I hate the cheap over-the-toliet storage cabinet, I hate the color of the green accents. OK, I can really only do something about that last one (maybe two), but I’ve decided it’s time to revisit this space. It’s pretty much been the same since I moved in two years ago so… Here. we. go. 4. I’m really excited to get my hair cut tonight. I have not had many good hair days lately. The truth is I was on a medication for awhile that started to make my hair fall out! It was awful. And it still kind of is because now I have all these new hairs sticking out like a baby bird. But I’m hoping my stylist can work some magic. I’m thinking I should cut a couple inches off to help the little hairs “catch up” to the longer ones faster, and I think I’m going to use Emma Stone’s new do as inspiration. I kind of have a girl crush on Emma. She was hilarious in the Lip Sync Battle with Jimmy Fallon. 5. I’ve totally been slacking in the cooking department. I got the new stove/oven weeks ago, and I think I’ve only used it once—to warm up leftover pizza. That’s just sad. But now that my grad class is over (and I’m taking the fall off), I might be able to get back in the kitchen. First recipe I want to tackle? 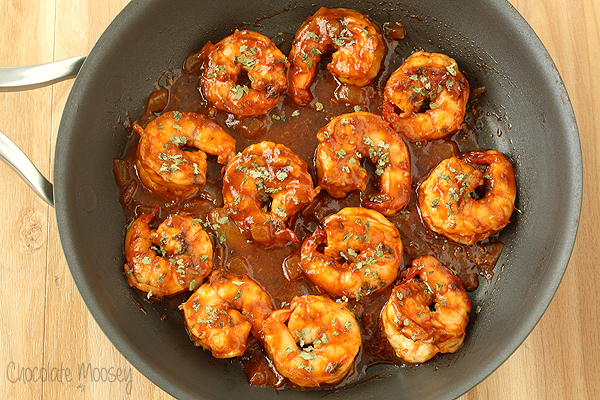 Spicy beer shrimp sounds pretty damn good. Or maybe jalapeño cheddar scones. Guess I’m all about the heat right now! 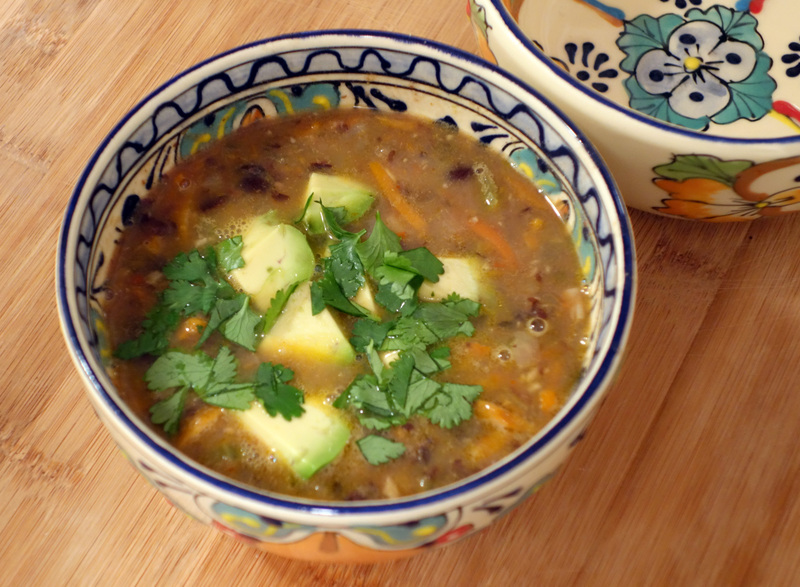 How do we feel about soups when it’s warm out? I think I’m OK with it as long as it isn’t super heavy. And this, my friend, is not. It might not look like much, but I swear it’s surprisingly light and fresh—and it’s even better the next day! With work and class now, anything that I can do in an extra 10 minutes in the morning to help dinner get to the table—er, the coffee table—faster is a big help. I chopped the veggies for this in the morning and just stored them in Tupperware until I was ready to put everything together. 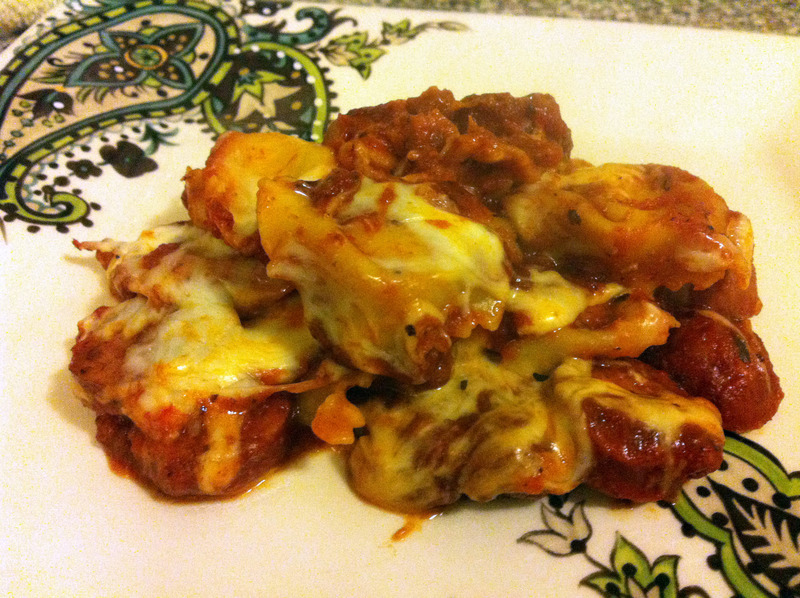 I can definitely see this becoming a staple because it’s easy, tasty and makes a ton. Plus, it’s healthy! Optional garnishes: diced avocado, tortilla chips, rice, etc. 1. In a medium/large pot or dutch oven, heat olive oil over medium heat. 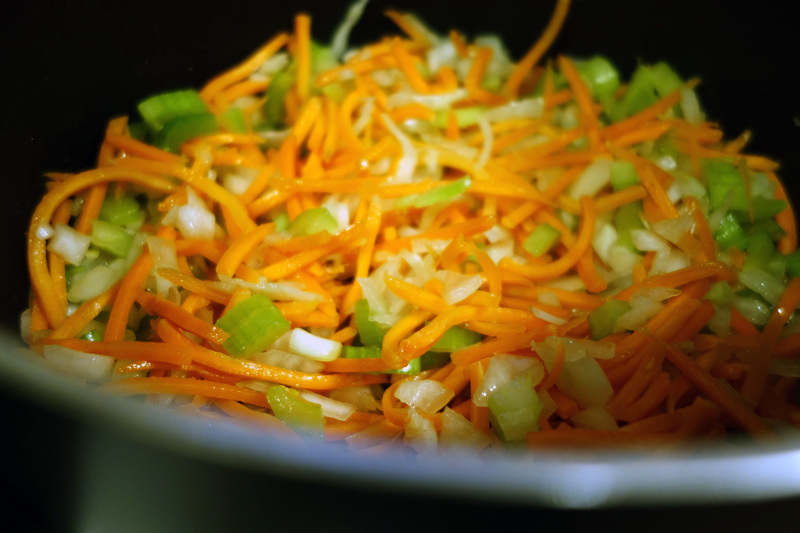 When warm (about 2 minutes), add the onions, celery and carrots and a sprinkle of salt. Cook uncovered, stirring occasionally, until the vegetable are soft, about 10 to 15 minutes. 2. Stir in the garlic, cumin and red pepper flakes, and cook until fragrant, about 1 minute. Pour in the beans and broth, and bring to a simmer. 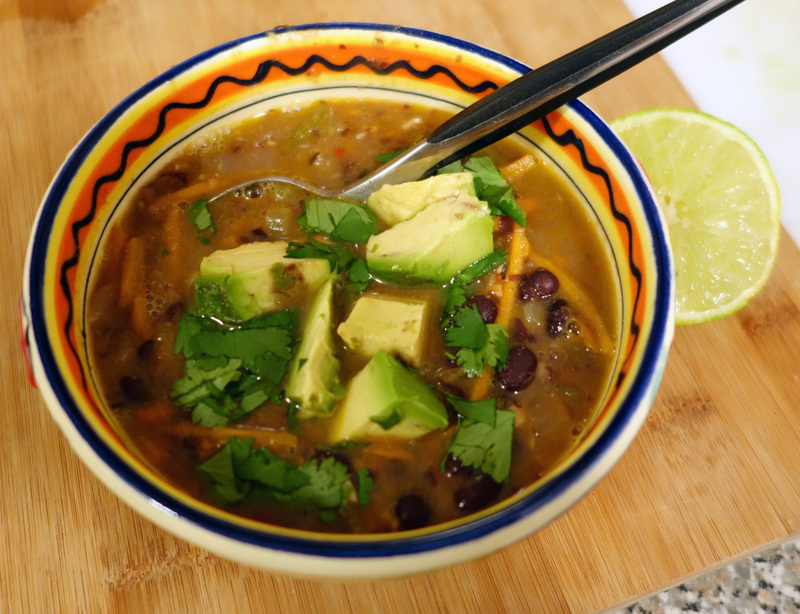 Lower heat slightly, and cook until the broth is flavorful and the beans are very tender, about 30 minutes. I love pasta. Just noodles with store-bought marinara or butter. Or even plain, cold ones. Boring I know, but I’ve always loved it and probably always will. In a bowl, whisk together olive oil, parmesan, garlic, brown sugar, soy sauce and red pepper flakes (add more if you like extra heat). 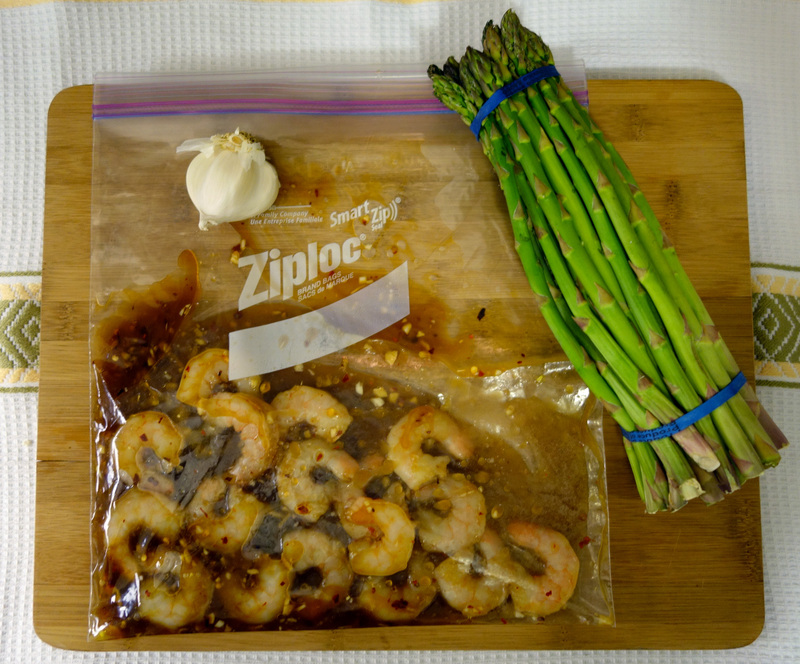 Put the shrimp and marinade in a large Ziplock, seal bag and shake to coat. Place it in the fridge to marinate for at least 30 minutes. In the meantime, snap the ends off the asparagus and throw them out. Cut the spears into 1-inch pieces (or smaller if you prefer). Place the asparagus on a baking sheet and toss with 1 tablespoon olive oil and salt and pepper to your taste. Preheat your oven to 400 degrees and set baking sheet aside. Next, bring water to a boil in a large pot and cook noodles al dente. 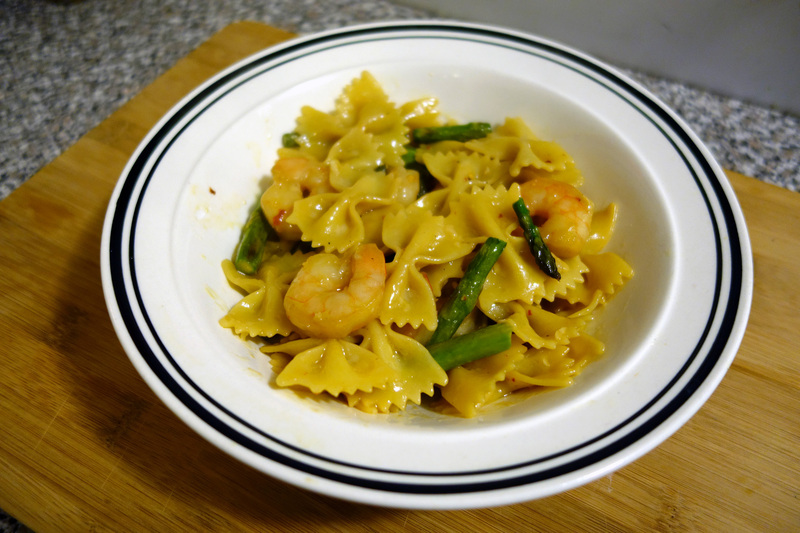 When you put your pasta in the water, also put your asparagus in the oven. Both should take about 10 minutes. In the meantime, heat a skillet over medium-high heat. Add your shrimp and marinade mixture, and cook shrimp until pink (about 2 minutes per side). Do not over cook! 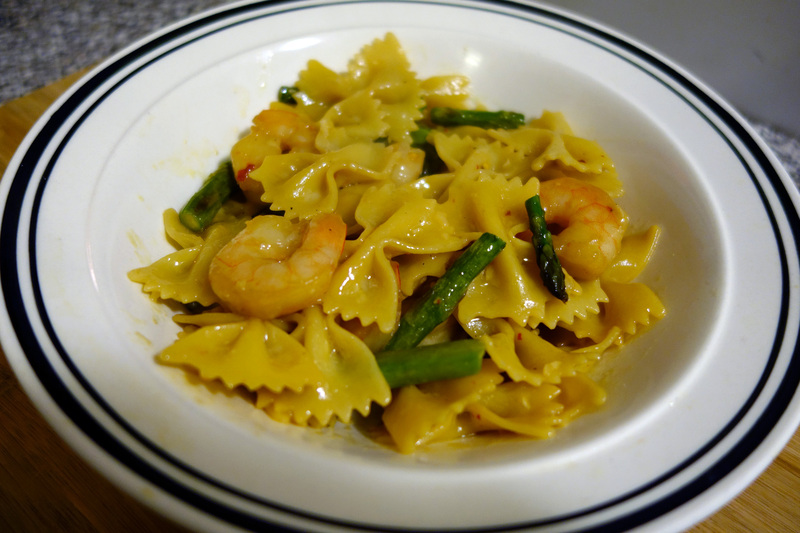 As soon as the shrimp is finished, add drained pasta and the asparagus into the skillet and toss to coat. Then it’s ready to serve. Enjoy! Between settling in at the new job and having some pretty epic fails (see lentil soup) in the kitchen as of late, I haven’t put up any Foodie Fridays the past few weeks. I’m back, but with a disclaimer: This isn’t so much a recipe as common sense. Sometimes I look around at Pinterest and find a million awesome dinner ideas, but then I look at the ingredient list and think about how I’ll be eating dinner at 10 pm (which I do a lot of the time anyway) by the time I get home from work, go to the grocery, get the million and one ingredients, prep, chop, dice, saute, boil, sear and whatever else it takes to get the dish on the table. So if you’re in the same boat as me, then this one is for you. One pan. Six ingredients. Zero measuring. Thirty minutes tops. No prep time and very little clean-up. You’re welcome. Optional ingredients: onions, red pepper, red pepper flakes, spinach, etc. 1. Slice your sausage into bite-size pieces. 2. Heat the olive oil in your skillet over medium heat. Add sausage and continue to stir until all pieces are well browned, about 5-7 minutes. (It’ll smell freaking awesome. Resist the urge to steal some out of the pan.) 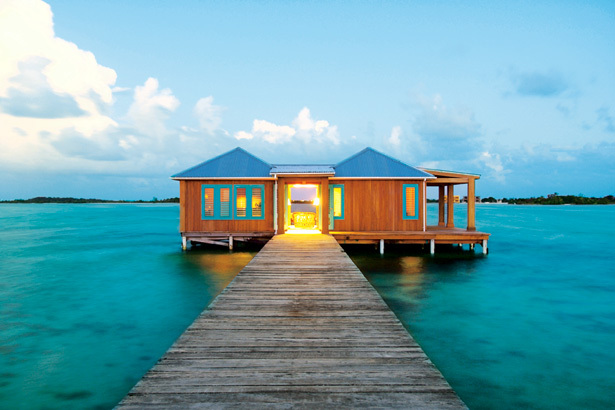 This is where you’d also be cooking your onions or red pepper if you chose to add them. 4. Add the pasta sauce and tortellinis (and red pepper flakes and/or spinach, if you want), and stir until combined. 5. Once the sauce is bubbling, cover and reduce heat to low. 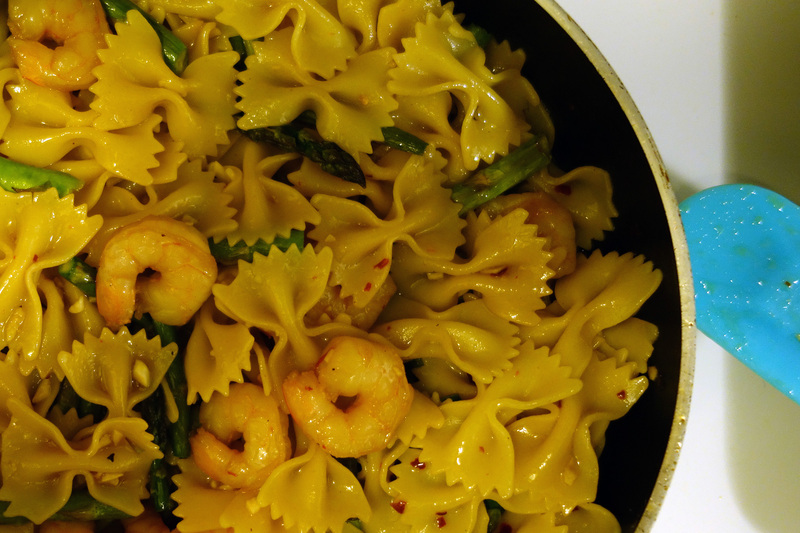 Simmer for 10-15 minutes until tortellini are tender. 6. Lift lid and stir. Then add cheese to the top, and replace the lid. 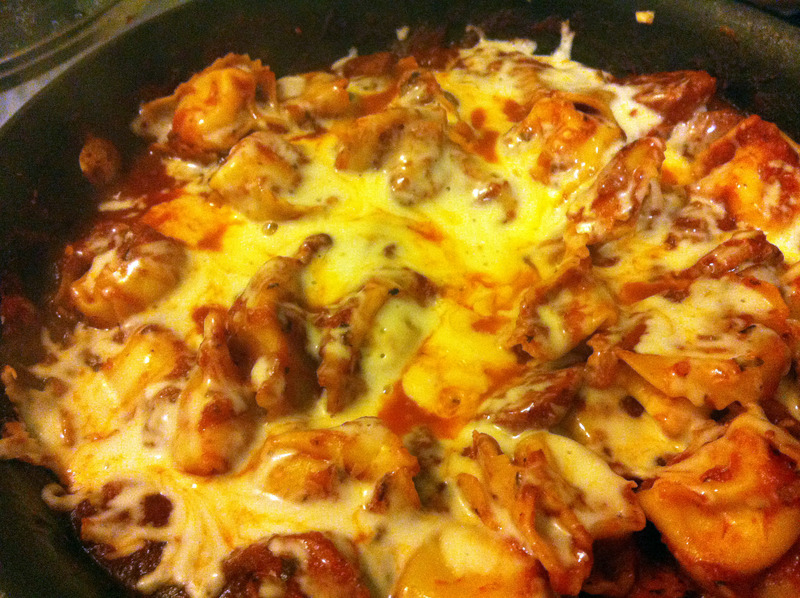 Continue to simmer for about 3-5 minutes until the cheese is melted.